PV Pro is the product information site for Infinity Innovations Ltd. Infinity Innovations have been involved in the distribution of renewable products for many years. We have been involved in a range of renewable products including Solar Thermal, Heat Pumps, Solar PV products, Thermodynamic systems and Battery Storage. The Lux inverter can store surplus energy in batteries for later use. It is important to understand that this is a hybrid solar PV inverter and battery storage controller. Highest panel efficiency from World Record Cell manufacturer, purest A grade cells from guaranteed long life performance. The Bunsen Air will create renewable hot water to supply your home. Designed to replace your existing heating system, this system can simply retro-fit to your existing cylinder or be installed alongside a new cylinder. Battery Storage Systems stores excess renewable energy power in a Lithium battery storage pack. 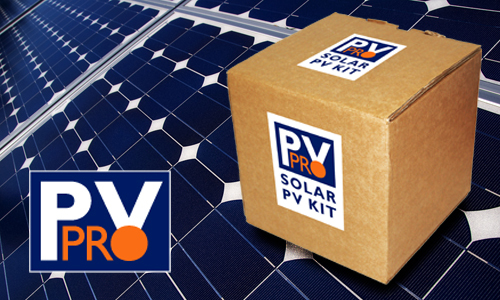 PV Pro offers reliable PV solar products and other PV solutions for domestic and commercial applications. based on a standard installation, PV PRO systems support your business in making every quote successful. View the documentations for your PV PRO system, such as User Manual, Data Sheet, and so on. Infinity Innovations Ltd are official distributors for Lux Power tek, SoFar Solar, Growatt, Pylon and Bunsen Air. We understand all aspects of these products, and where additional technical support is required we have direct communication to the technical departments of all these manufacutrers. These products include AC Battery Storage Solutions, Hybrid Battery storage solutions, string inverters for solar installations and thermodynamic solar assisted heat pump systems for generating cheap hot water and reducing energy consumption. The Lux Power Hybrid Inverters come with built in Enhanced EPS, this feature allows the end-user to use their stored energy in the event of a power outage. This impressive enhanced EPS feature will switch over in 0.01s in the event of a power cut, meaning these systems are Grid Share ready for the future. Sofar Solar Battery Storage systems are simple to install and highly flexible. Commonly referred to as AC battery storage system as this system is installed on the ‘AC’ side of any installation. The ME3000SP is an AC coupled battery storage solution which connects directly to the customer’s consumer unit. This is the reason it is compatible with almost any type of inverter or micro-inverter or optimiser system. The Growatt SP DC Battery Storage Systems stores excess renewable energy power in a Lithium battery storage pack, giving around 4kw of power which can be drawn when the PV panels are not generating. This simple system can be retrofit to most standard Solar PV installations. Both R&D departments co-operate in moving the development of products forwards together. This close relationship has created a secure package opportunity using the SoFar Solar ME3000SP controller with the Pylon US2000B and now the Pylon US2000 plus battery pack. The Pylon battery is ideal for domestic battery storage, and can be scaled up for commercial battery storage applications also. The Bunsen Air unit has benefited from over 12 years of data specific to the research and development of Thermodynamic systems. The Bunsen Air can be simply retrofit to any existing hot water cylinder, or be installed with a new one, turning the hot water cylinder into a solar system which can generate 100% of a households hot water requirements day and night. Infinity Innovations have been involved in the distribution of renewable products for many years. We have been involved in a range of renewable products including Solar Thermal, Heat Pumps, Solar PV products, Thermodynamic systems and Battery Storage. Infinity Innovations Ltd are official distributors for Lux Power tek, SoFar Solar, Growatt, Pylon and Bunsen Air. Copyright 2018 © Gigabiz Ltd.